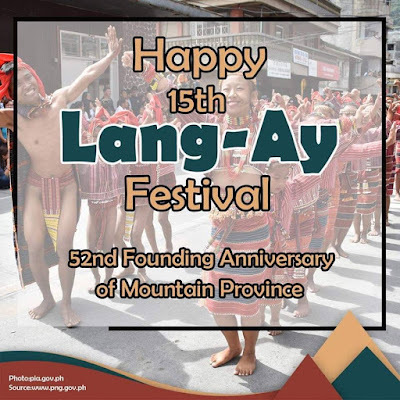 The people of Mountain province and the rest of Cordillera are anticipating this year's annual festival that highlights the rich cultural heritage and tradition of the different municipalities of the province. This is a yearly festival wherein each of the participating municipalities will have the chance to showcase their indigenous music, dance, costume and their traditional tools and symbols. The event will also signify the unity among the many diverse tribes of Mountain province to come together for one purpose, to "Lang-ay". The word "Lang-ay" is a native term of the iBontoc which means coming together for sharing which could be anything, from food, happiness, friendship, wisdom, talents and resources. When someone invites you for a "Lang-ay", there is no excuse not to go for everyone has something to share. 2. When is Lang-ay festival 2019? This year's Lang-ay Festival is the 15th and it will be celebrated from April 1st April 8th. 3. 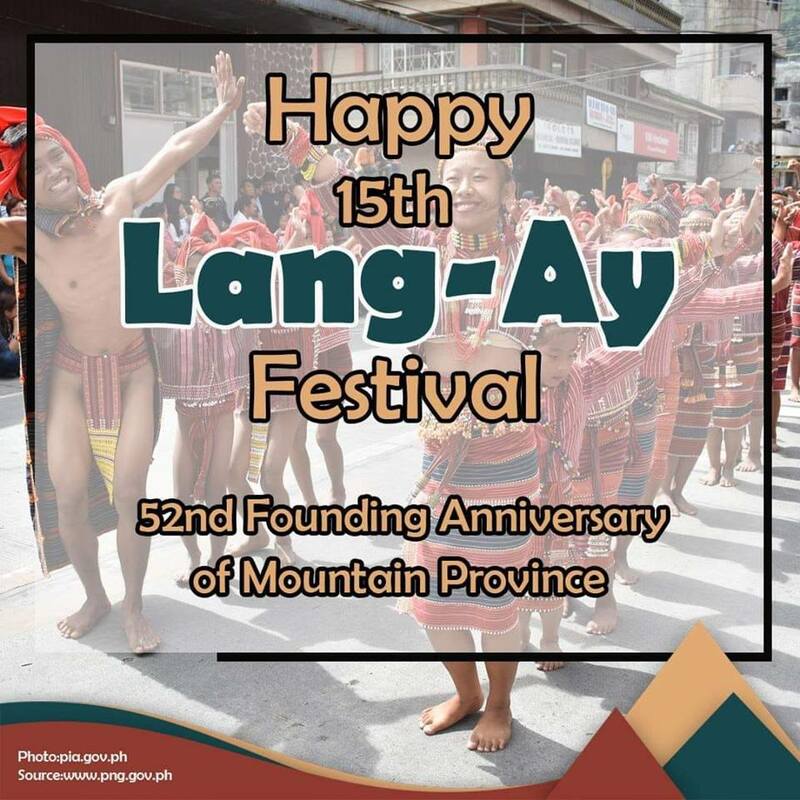 How do people of Mountain Province celebrate Lang-ay Festival? The festival is participated by the 10 municipalities of Mt. 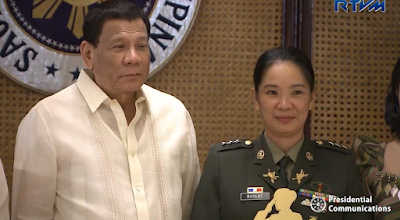 Province which will gather together in Bontoc for numerous activities such as street-dancing parade and competitions, cultural presentations, musical events, sports, exhibits and many others. Please see attached photo for the lists of events. 4. Is the festival for just for locals or can anyone get involved. The festival is open for anyone and everyone, whether you are local or international tourists, you are very much welcome to watch and learn the culture of Mountain Province. 5. What is the best highlight of the festival that I should not miss? Every event on the festival would definitely be a must watch for everybody. The street dancing and cultural presentations will get you the chance to see the native costume of the each of the 10 municipalities of Mt. Province. Also, don't miss the chance to watch the indigenous games such as "Khug uyod", Inet-etaan" and "Sangkhor". 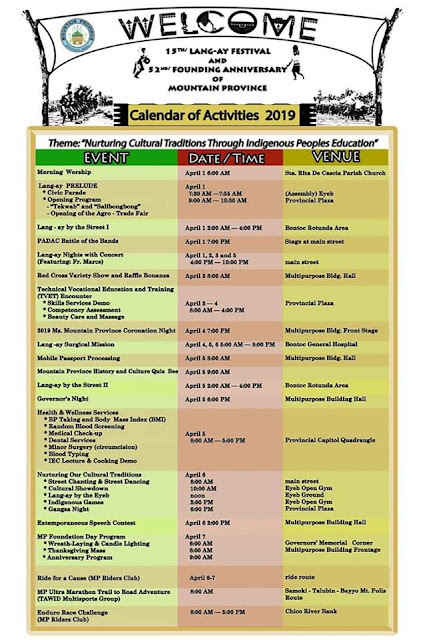 Please refer to the Lang-ay Calendar of Events. 6. Where to stay in Bontoc to watch the 14th Lang-ay Festival 2019? Looking for an accommodation in Bontoc would never be a problem for visitors since the town offers great choices of accommodation. Navigating the town to look for hotel is relatively simple due to its size and you can do that on foot. So, if you're planning to go on a trip for the Lang-ay Festival in Bontoc, then don't cancel it. Ready your backpack, cameras, phones and let's head to Mountain Province. You're almost guaranteed you'll have a lot of fun and you'll end up satisfied after your visit.